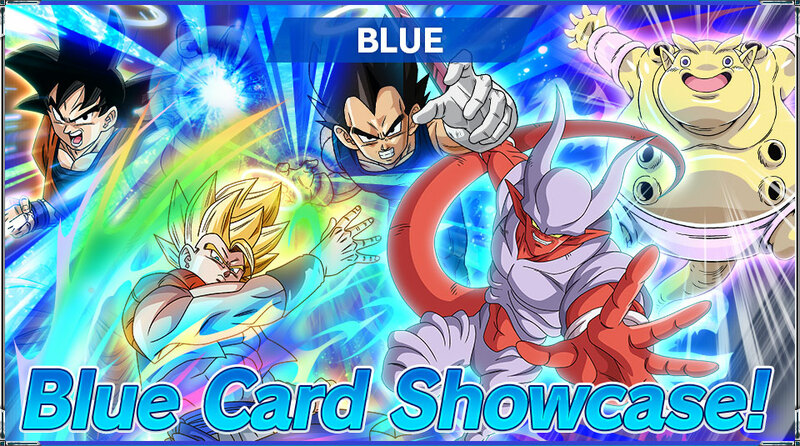 Let’s take a look at a few blue cards from series 5! 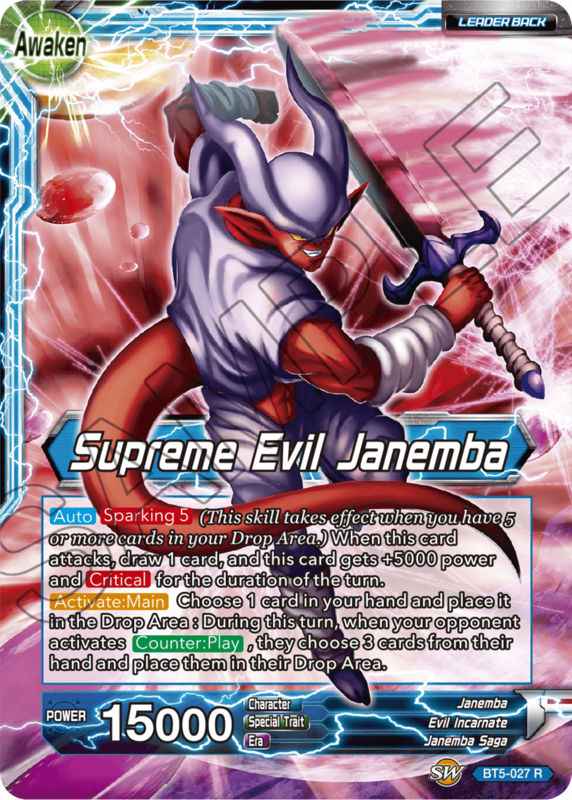 Blue in series 5 is mostly focused on Janemba Saga. 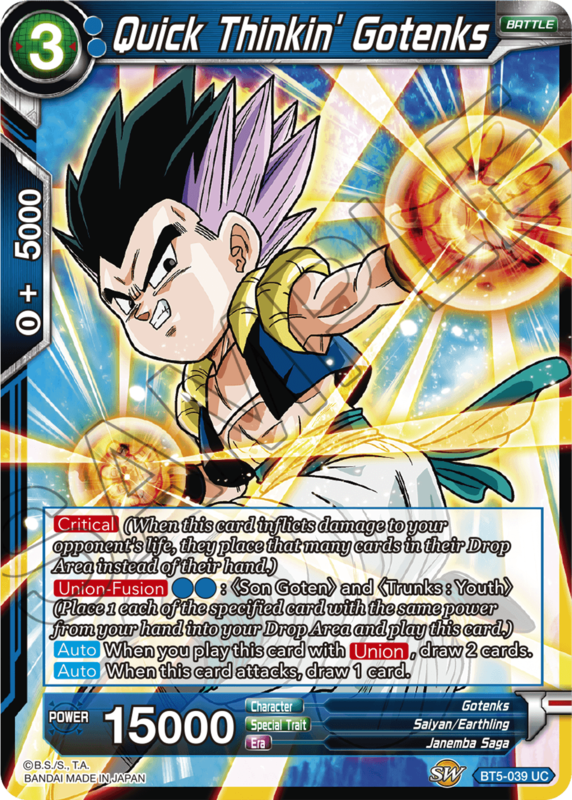 This ferocious card gets +5000 power and [Critical] when it attacks! 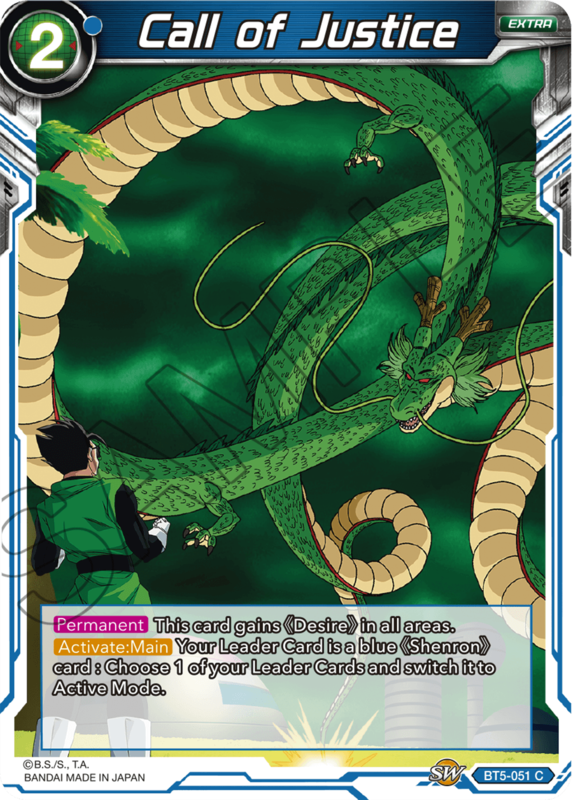 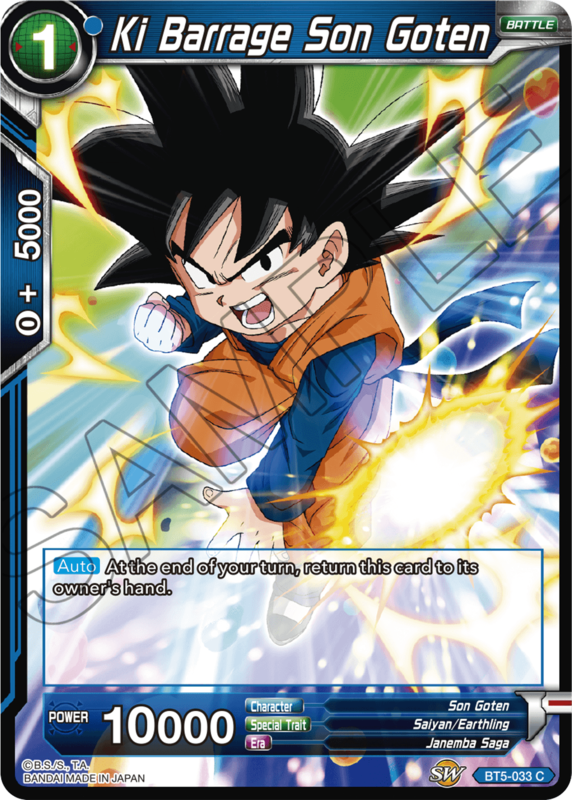 You can even penalize your opponent for using [Counter: Play] cards with it! 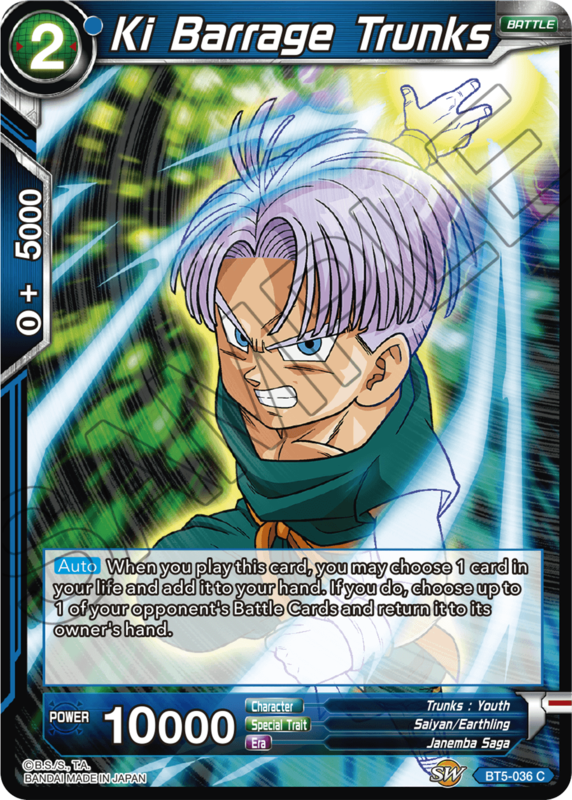 Use his ability to play [Activate: Main] skills on ≪Desire≫ cards for free to turn the tide of battle in your favor! 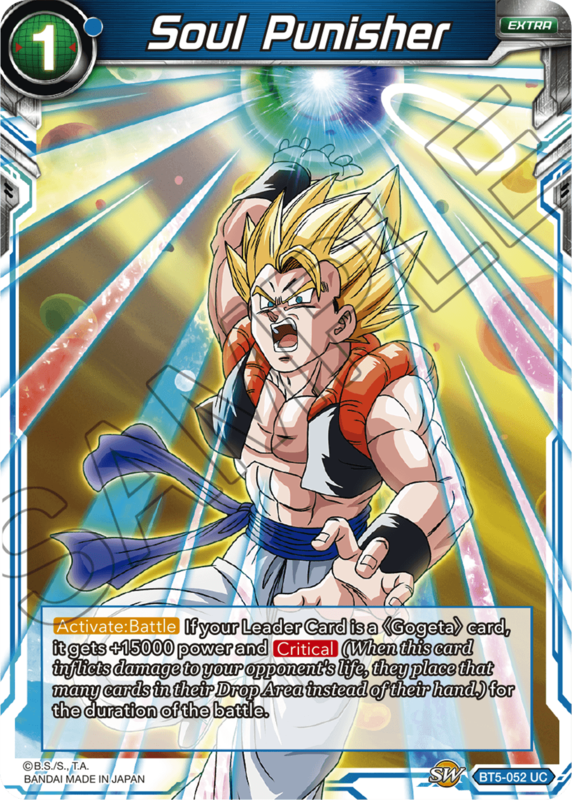 Gogeta finally makes his way to the battlefield! 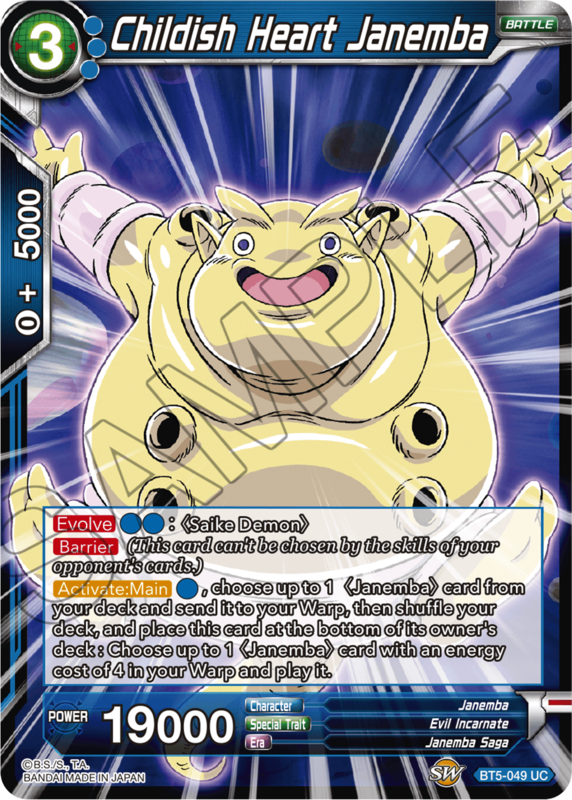 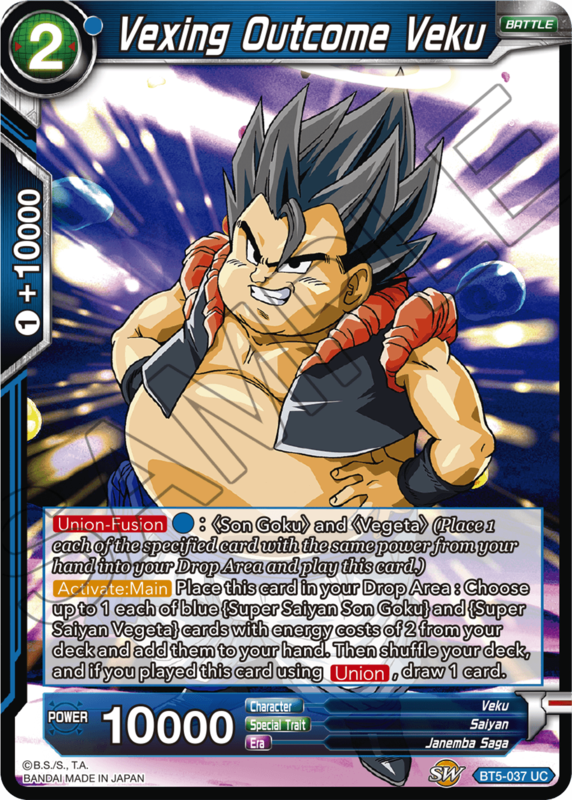 Do your best to pull off a Fusion! 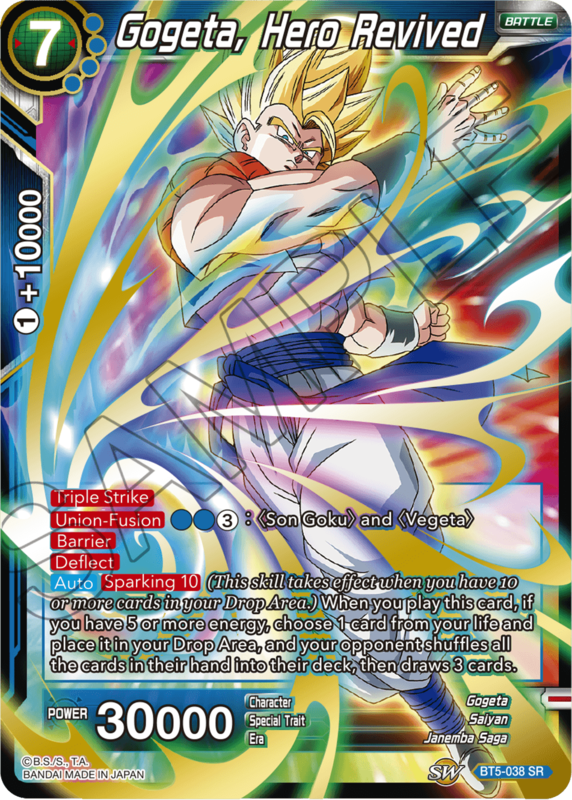 Tons of cards to help out older deck archetypes! 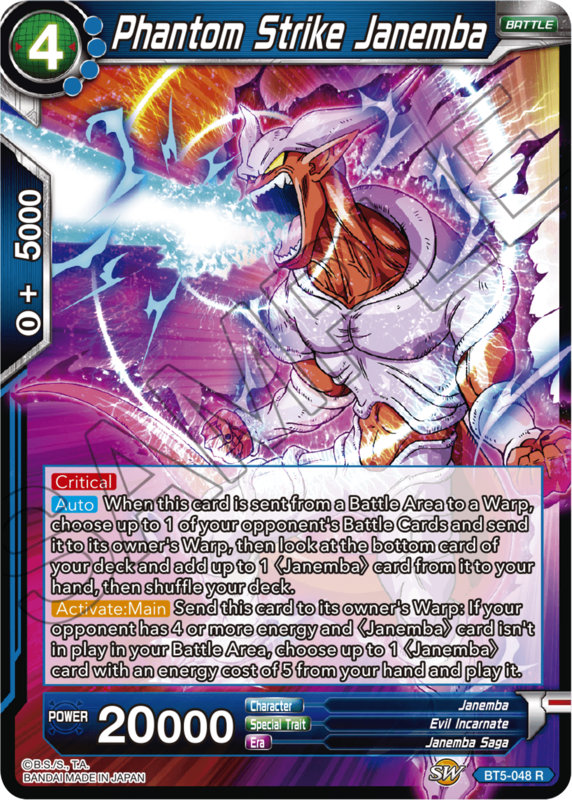 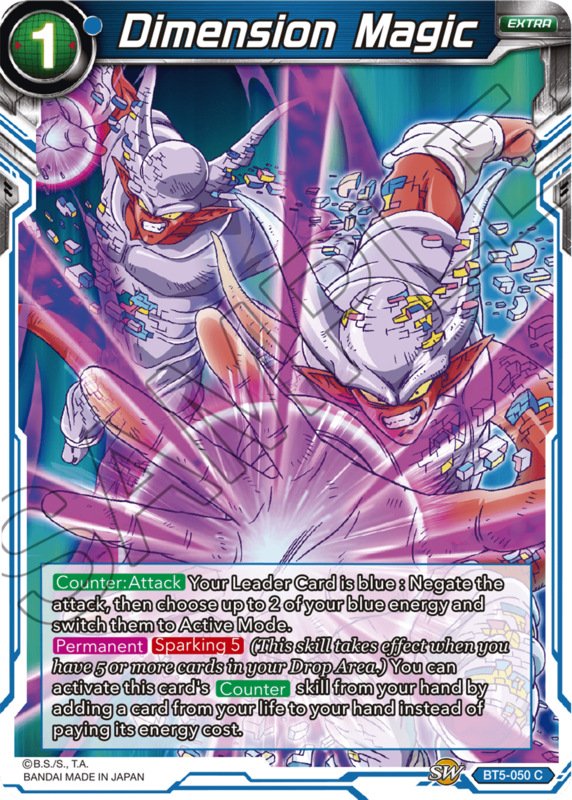 These four cards make up an extremely strong combo that lets you get numerous attacks in on your opponent! 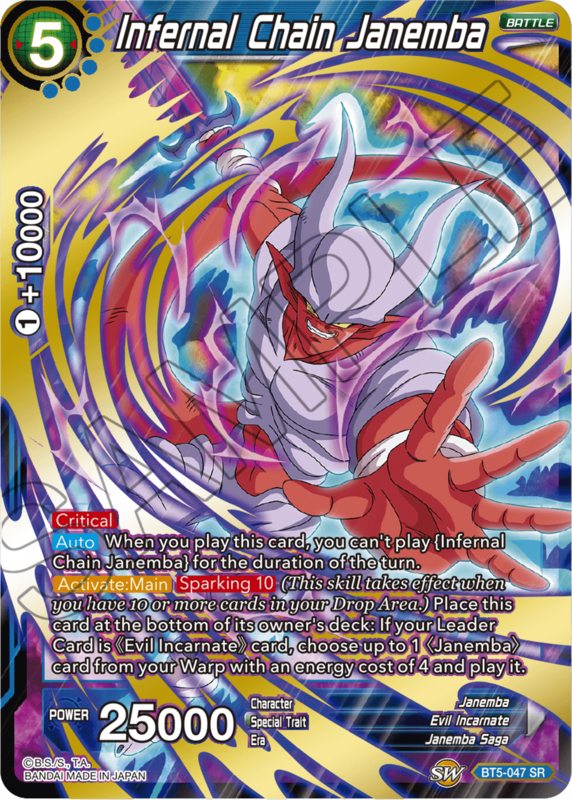 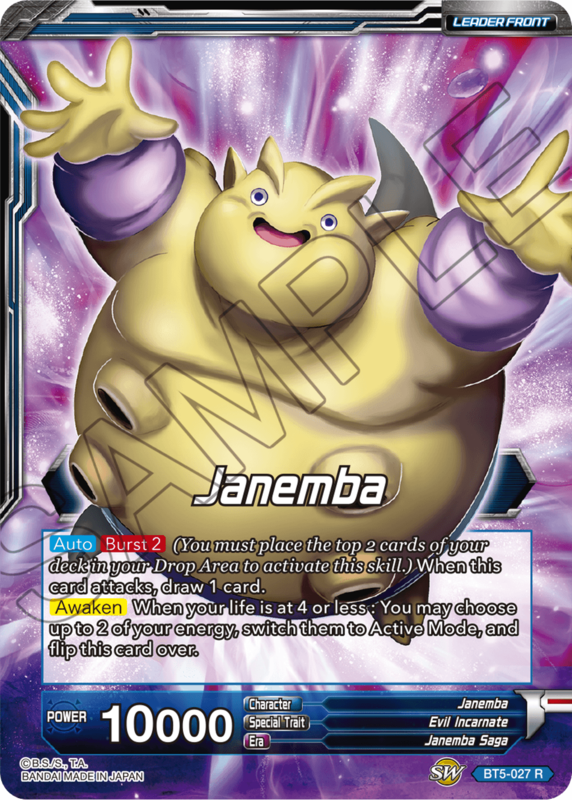 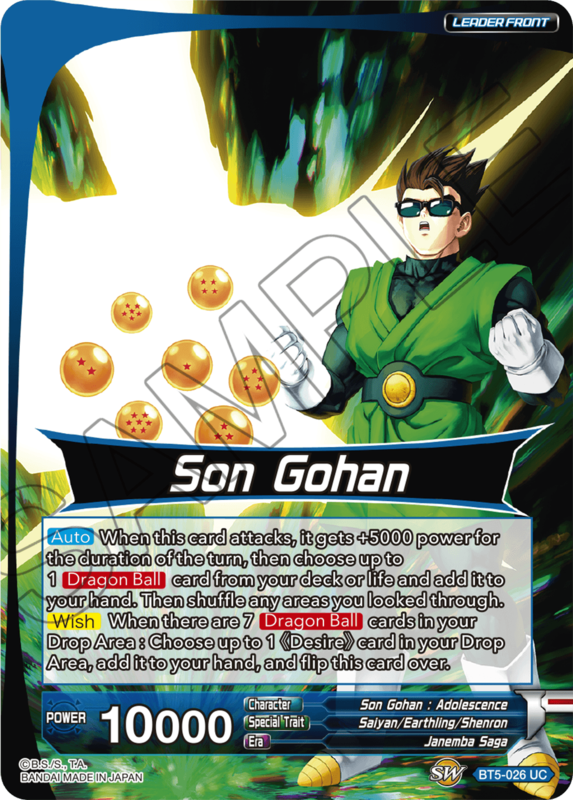 Now's the time to start thinking up those Janemba decks! 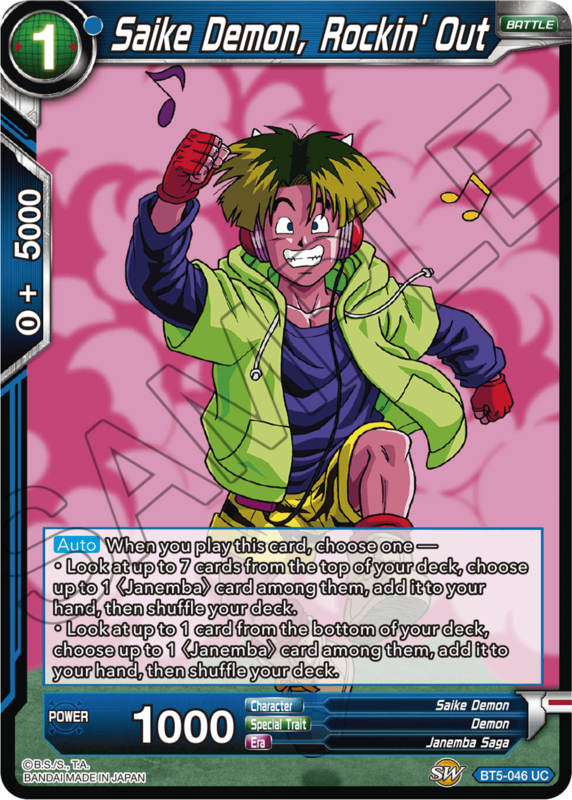 Extra Cards Serve a New Purpose! 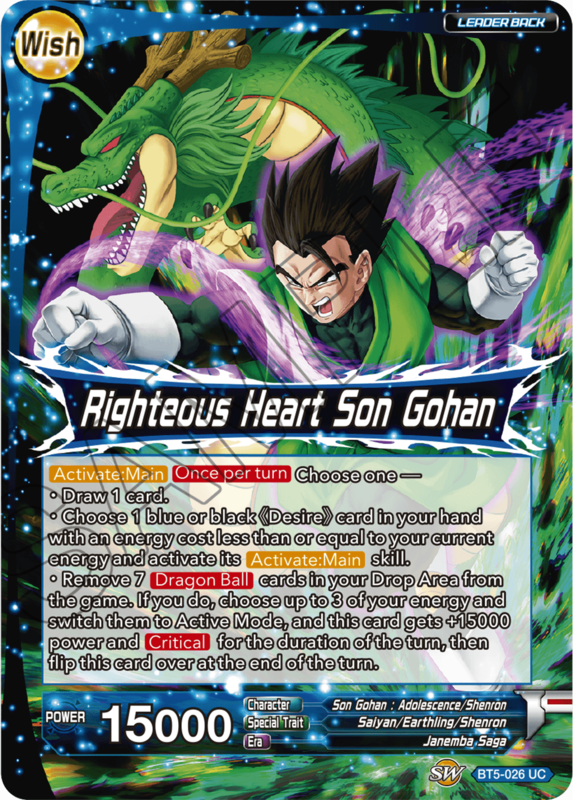 These Extra Cards are supremely powerful! 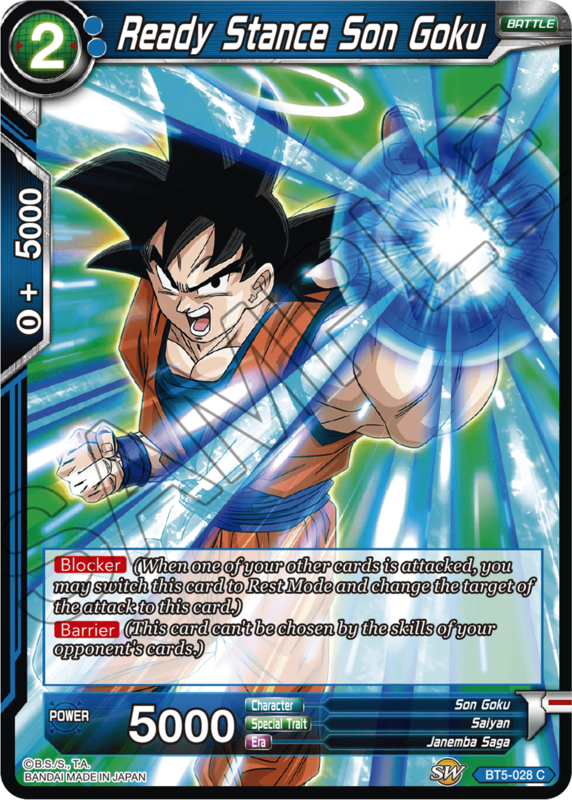 Dimension Magic in particular is a card that any blue deck will want to play! 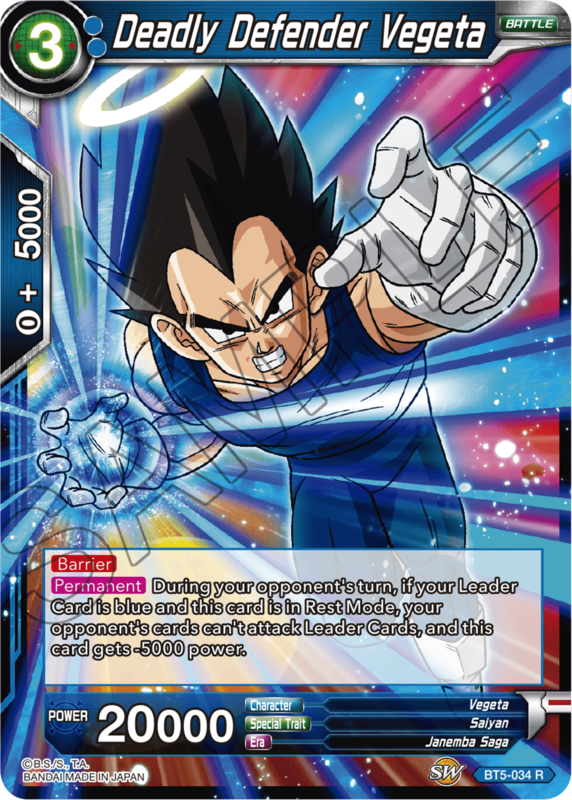 Soul Punisher goes great with the Gogeta Leader from SD06, potentially giving him 35000 Power and Double Strike! 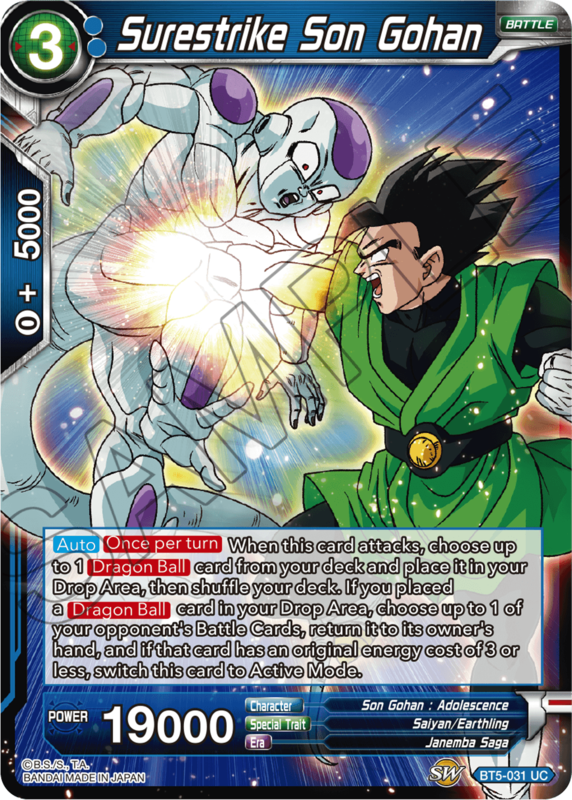 Tons of Blue cards are powerful additions from the Janemba Saga, featuring popular characters like Janemba and Gogeta.